When you describe someone – perhaps a government minister right now – as a ‘chocolate teapot’, everyone knows what you mean. We know that chocolate melts at roughly the temperature of the human body. It would be a ridiculous material from which to make a teapot carrying boiling liquids. Fortunately, we have many other choices of material and we can select one that is appropriate to the task at hand. The material we choose for a particular task depends on its physical properties, as well as its cost, both financial and environmental. We can never select for just one property: it’s always about a compromise between a variety of characteristics, and our budget. Imagine if we could design a material for each task. One that had the minimum amount of compromise because it was engineered for the task at hand. More, imagine we could reform recycled materials with new properties that make them greater than their virgin equivalents. I’ve shared my excitement about the new wave of materials science a few times on this blog. What thrills me is that new single layer and composite materials will change the way our world looks, just as the digital revolution changed the way it works. In fact, based on a conversation I had at the national Graphene institute recently, it might just do both. We all know plastics are bad, right? Bags, straws, packaging, all have to go because they consume fossil fuels in their production and take decades or more to biodegrade, choking the seas as they do. Some plastics are recyclable but the resulting product is typically inferior. This doesn’t have to be the case. Speaking to Dr Oana Istrate, a Graphene Applications Specialist at the new Graphene Engineering Innovation Centre, I learned that they are working on adding single layer materials to recycled plastics to create a variety of properties suited to different applications. For example, stopping the leakage of Hydrogen Sulphide gas from oil pipelines. H2S is a colourless gas with a distinctive smell of rotten eggs. It is highly poisonous, flammable, and corrosive, presenting a real challenge for the oil and gas industry. Corrosion of pipelines shortens their lifespan and increases the risk from leaks, creating a serious safety issue, as well as one of maintenance costs. 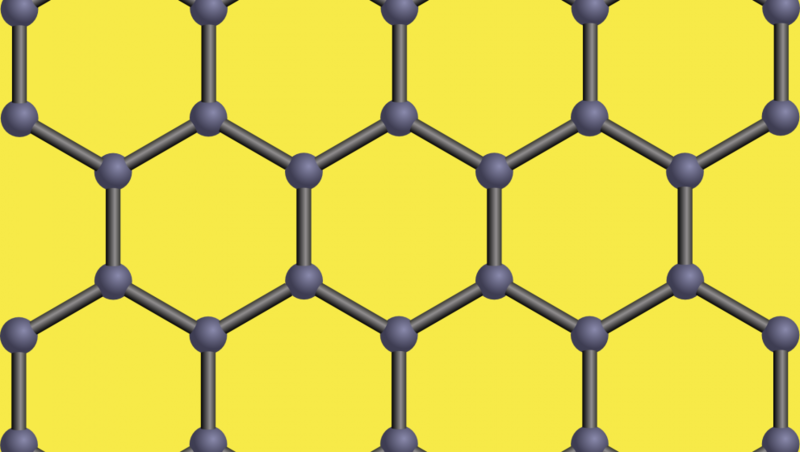 Combining graphene with plastic can create a material that is impenetrable to H2S. Line a pipeline with this and you can extend its lifespan and improve safety. Other applications abound: imagine a contact lens that better retains moisture, or a wetsuit that better retains heat. This is before we get into improved mechanical properties: graphene has already been used to increase the wear properties of trainer soles, and make racing bikes and cars stiffer, improving the transfer of power to the track. Combining single layer materials with recycled plastics promises to give us a new range of materials with which to construct tomorrow’s world. Products that are greener but also more particularly suited to the applications at hand.